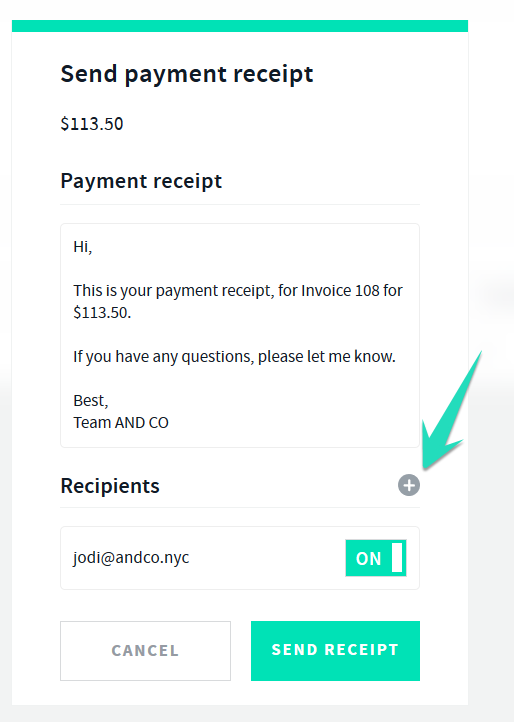 To be able to send a payment receipt you will need to ensure that you have recorded a payment against your invoice. 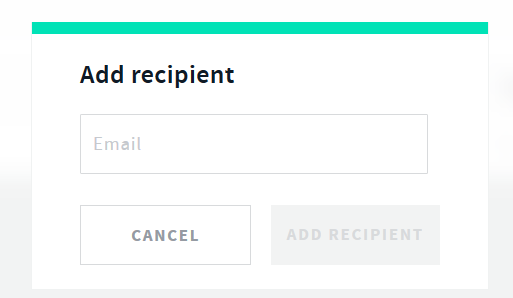 Enter in the amount, currency and date of payment. 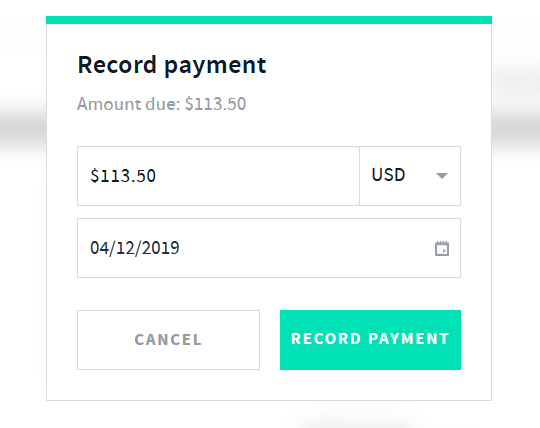 Once you select record payment you will notice a pop up window appear confirming the recorded payment and an option to send a payment receipt. 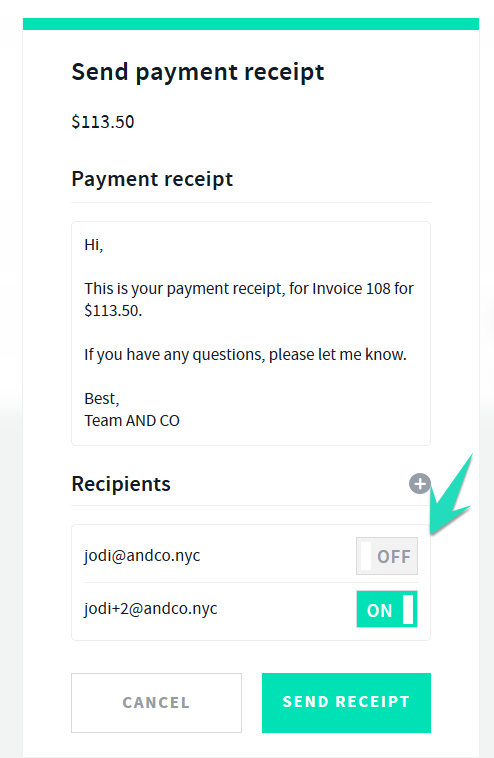 A new window will appear with options to edit the default payment receipt email message as well as add or turn off email addresses for your recipients. 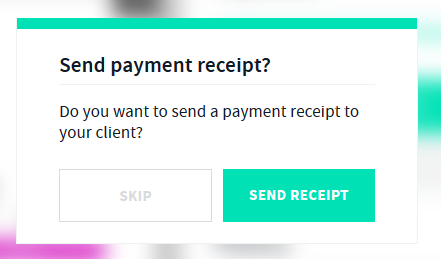 Select > record full payment . 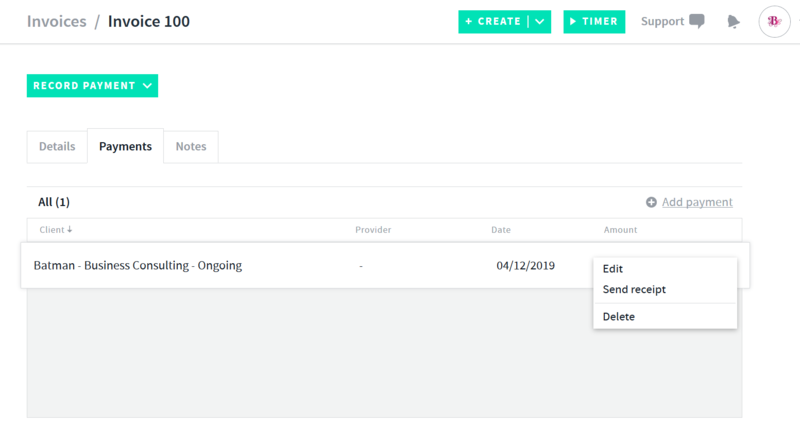 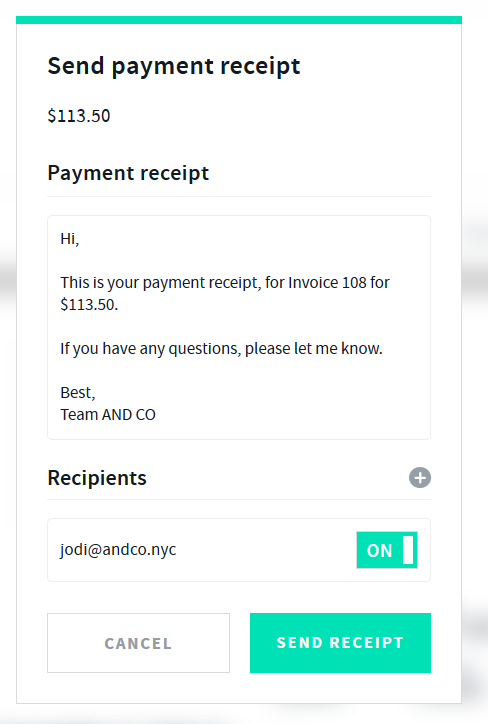 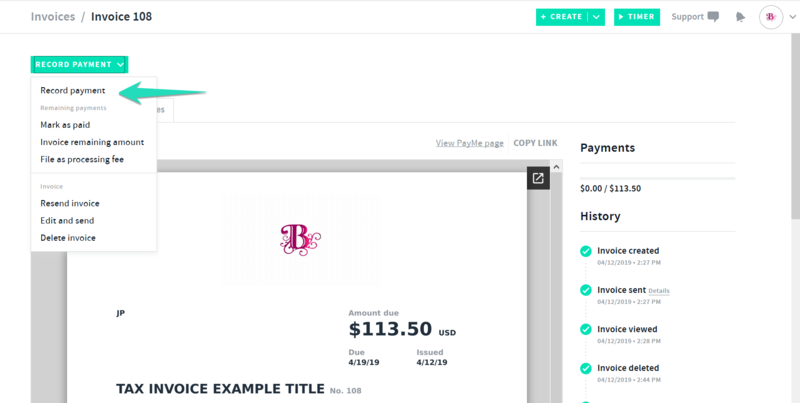 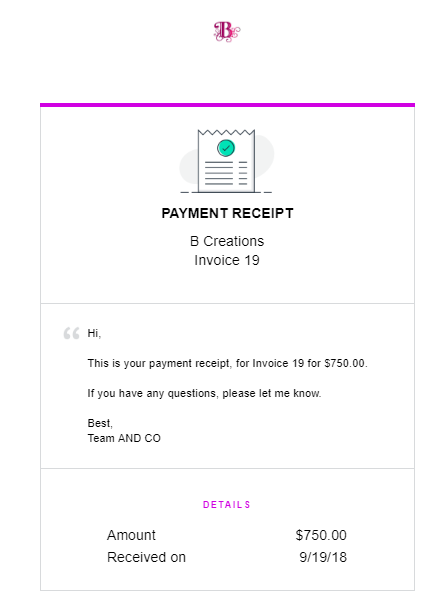 This option will auto record the full payment onto the invoice.